Join us on the third Saturday of every month for Canines in the Courtyard! 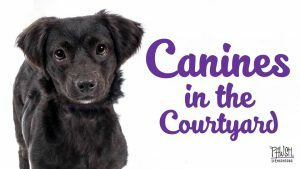 PAWSH La Encantada's adoptable dogs will be located in the courtyard at La Encantada from 10am until 2pm. Decide to make one (or more) of these pups part of your family and enjoy 25% OFF ALL PAWSH merchandise with your adoption!